All this work was done on a Raspberry Pi 3, that´s a 1.2 GHz 64-bit quad-core ARMv8 CPU and later on a Raspberry Pi 2. 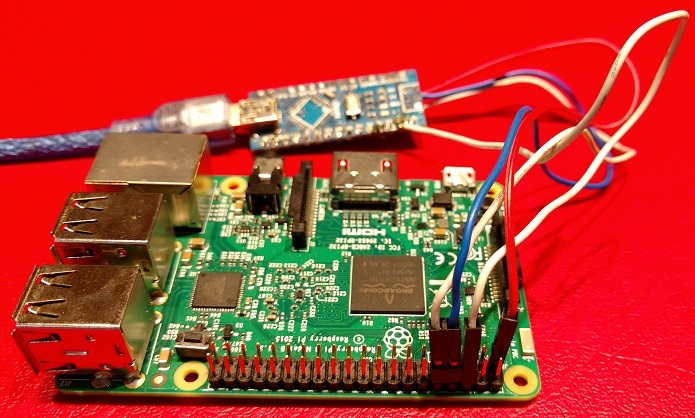 I used the Raspberry as development platform, but you can cross-compile if you want. To get an AMP environment we need to boot Linux with at most three cores and reserve one for bare-metal. Also RAM needs to be separated, i.e. lower 512 MB for OS and upper 512Mb for bare-metal. Linux kernel accepts boot time parameters that can be used to force kernel to override the default hardware using. With "maxcpus" and "mem" boot parms we will get the job done, but.... standard Raspberry Pi boot process involves GPU bootloader, ARM bootloader, and a config.txt with some possible configuration options (not really full compilant linux boot parameters). Setting maxcpus=3 and mem=512 in config.txt result in a system boot with 3 active cores, but very inestable, even it crash with ethernet cable connected. And the "mem" parameter has no effect (Linux gets all RAM). Following step is based on Tim's post about "Booting a Raspberry Pi2, with u-boot and HYP enabled"
Move the obtained boot.scr file to SD root. We have remaining hardware resources for simultaneous baremetal app run: AMP! 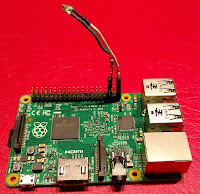 +If you have experience obtaining a Raspberry Pi uboot.env file from Linux with fw_setenv please let me know. This will avoid the serial adapter for succeeding bootargs mods.